Hon. D. D. Marshall: To move the First Reading of the Barbados International Business Promotion Corporation Bill, 2005. Hon. 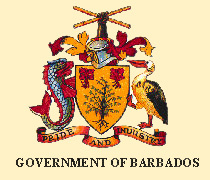 D. D. Marshall: To move the First Reading of the Barbados Investment and Development Corporation (Amendment) Bill, 2005. Notice of this Bill was given on 7th October, 2005. Hon. Miss M. A Mottley: To move the Second Reading of the Coroners (Amendment) Bill, 2005. Notice of this Resolution was given on 11th October, 2004. Rt. Hon. O. S. Arthur: To move the passing of a Resolution to note and approve Protocal Five of The Social Partnership, 2005-2007. Notice of this Bill was given on 11th October, 2005. Notice of this Resolution was given on 13th October, 2005.